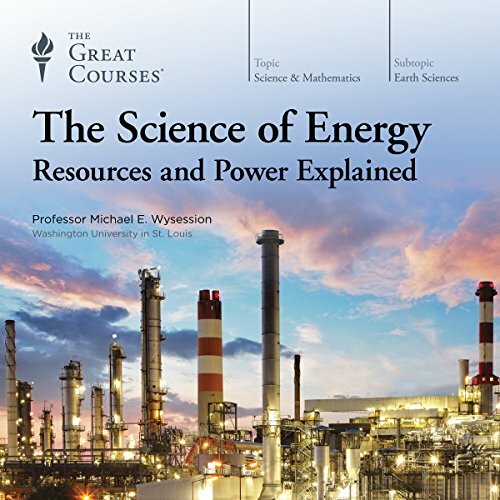 In the 24 riveting lectures of The Science of Energy: Resources and Power Explained, expert geophysicist Professor Wysession presents an unbiased investigation into the energy sources that power our world. 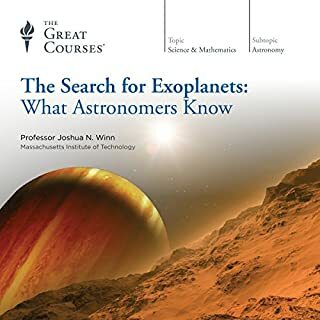 With clear and easy-to-follow explanations that make scientific and mathematical concepts approachable and understandable, this course is a marvelous window into the inner workings of energy that will keep you constantly engaged. You'll examine a wide portfolio of energy sources, how these sources work, the engineering marvels that adapt them to human needs, the economic and environmental consequences of using them, and more. Whatever exciting changes await us in the coming decades (from food production to public transportation to industrial manufacturing), they'll most certainly require lots of power. 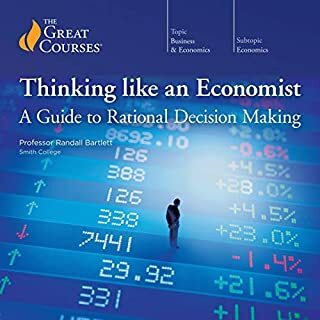 For this reason and many more, this course imparts essential information for any well-informed citizen of the world - whether you're powering a major city or simply turning on the light. The world-spanning civilizations that we have built rely on a vast, dependable, and lasting supply of energy. The choices we make have profound consequences for how the world will continue to develop. Get the facts you need to choose well. Increased my understanding of the Energy debate in Australia and the Globe. Now I am better placed to give more considered opinions to the debate and to personal investment. very informative. challenged and changed my opinion in a number of areas. will change the way I look at and use energy and energy usage. thoroughly recommended. This course does an excellent job of thoroughly discussing various energy sources without being too technical. I have worked in oil & gas, nuclear, and dabbled in undergrad research in biofuels and hydrogen fuel cells. 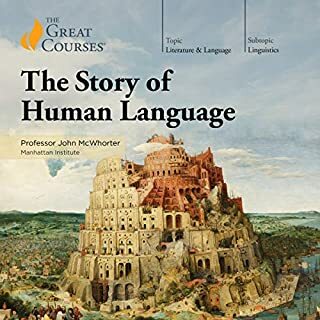 There was enough new information to keep me interested yet I would definitely also recommend this course to someone with a non technical background because it provides real facts and information without getting too far into the technical weeds. The lecturer is evenly paced and easy to understand. Overall, A+! As a former operator at a nuclear power plant, safety officer on a hydrological fracturing site, and having friends who work at coal power plants and construct wind mills, I found this course to present an objective viewpoint on all forms of energy. This is primarily because it provides factual assertions about the relative costs, impacts on the environment, long term viability, and most importantly the impact I can make on future generations by being a better steward today. This course helped me to consider factual assertions and put in balance my experiences in the industry. The lectures are organized and grouped in a very thoughtful manner. 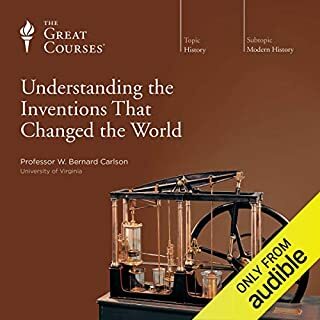 Each lecture walks the listener through one particular type of energy production and discusses the various methods it is produced, some of the history, where it is going, and the pros and cons. 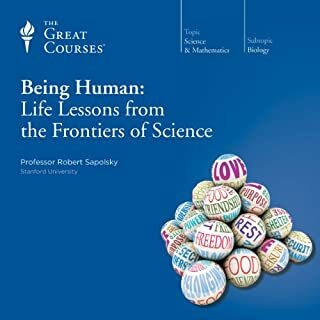 This series of lectures is perfect for people who have a casual understanding of how humans create electricity but it would probably be best for someone who is completely unfamiliar with the subject material to become acquainted with some basic energy vocabulary and concepts. The lecturer does an alright job at the beginning defining some of the more complicated terms and expressions so if you're really interested in learning about energy then it shouldn't be a problem. I also must commend the lecturer on presenting the information about climate change in a very fair manner. He doesn't put any hype into it and sticks with solid science. As the title indicates this is a very high level overview of the energy industry, technology and political concerns. If you have a background in this topic you might find it too cursory. I, not having a deep understanding of the topic, found lots of good information and leads for further study. The material was very approachable. One area I found particularly interesting was the comparisons of energy efficiency between the various types of power sources and what it takes to tap into that source. This gave me a better sense of why some fuel sources dominate currently and what factors would allow us to take up other sources such as renewables. The lecturer is unconcerned with political perspectives when it comes to energy policy. He simply does the math. You think nuclear is the answer? Here's the math on what it takes to generate that form of energy. All detailed without editorializing. Solar? OK, this is how much land is needed for this much energy. He simply weighs the pros and cons for every type of energy. It's just the facts, ma'am. If you want to understand energy start here. Unlike so many of the books about modern issues, the author is actively unbiased, and presents the facts clearly. He leaves the reader to develope their own, now vastly more informed, view of the energy system. 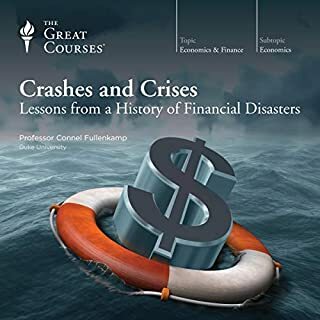 I Loved these lectures! Professor Wysession is straight-forward no non-sense in his approach to lecturing. 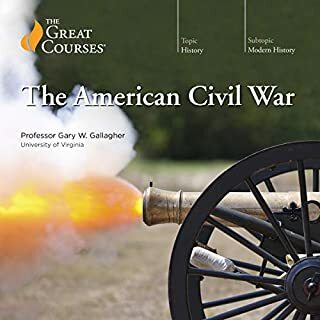 I learned a great deal from this series and it's definitely one of my favorite from the Great Courses. 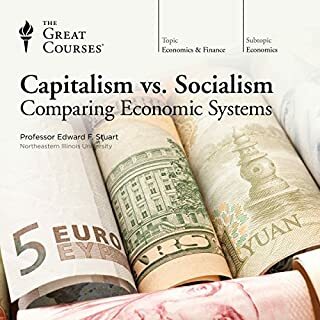 I like how Prof. Wysession called the recent wars out for what they are really about, not religion or democracy but energy and the fierce competition for dominance. Nothing new about that in the sense of history but while we are comfortable within our high-tech bubbles we tend to forget how desperately dependent we are on the politics and business of energy. I don't usually write reviews, but I'm compelled to write one for this lecture. 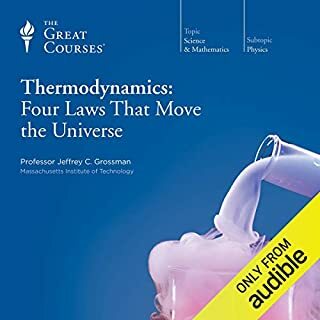 I have listened to several scientific lectures by "The Great Courses" and have just fallen in love with this one in particular, which is odd considering I had no profound interest in the subject of energy before my first listen. I have long considered one of the most rewarding results of education to be a diminishing of borders between subjects which once seemed distinct. As a student of neurobiology, I've found this to be the case with physical, life, and behavioral sciences. The narrator, Wysession, is incredibly diverse in his knowledge base. 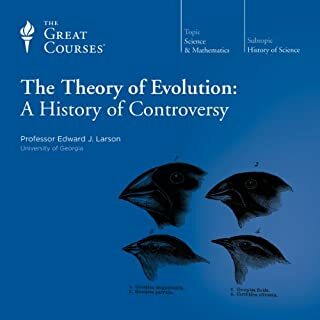 His descriptions of the subject of energy effortlessly incorporate such seemingly disparate subjects as physics, ecology, geology, economics, chemistry, and even a bit of biology. 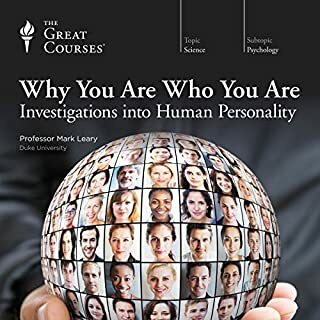 The result is an incredibly clear, yet thoroughly thought-provoking and exceptionally well-organized series, which I am happy to recommend to anyone with a healthy sense of curiosity. Very informative. Please note that he uses mostly US figures and examples but most of this information is relatively current. If you could sum up The Science of Energy in three words, what would they be? I enjoyed the direct and comprehensive descriptions of each energy technique with very little discernible preferences bleeding into the narrative. This allowed for a very open-minded listening experience. 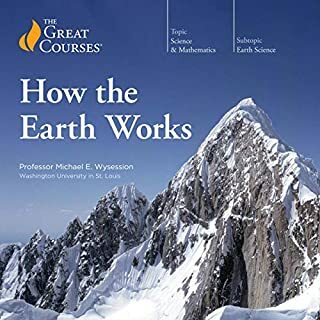 I bought this book with a hope of understanding more about the processes involved in recovering energy, and the strengths of the various resources and forms. It is such a hotly contested topic, which rarely comes with clean cut information, that it's easy to get a biased opinion on the area. This certainly isn't the case here. 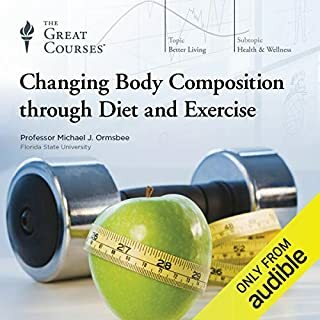 The professor is very balanced, and from the start of the audiobook, he asks you to take the same approach, leaving aside any preconceptions. After introducing some basic physics (don't be put off here, it's very light), he then introduces the various energy forms one by one. For each form, he then describes the physical process involved in obtaining the energy and various aspects of this process (the efficiency, availability of production materials, safety, etc). It is easy to see how complex the picture is after just a couple of lectures, and to see that the strengths and weaknesses vary greatly. In particular, while it's clear that a move away from fossil fuels is desirable in the long run, the change is going to be slow, and he gives several reasons to suspect this. By far, my favourite section was the 3 lectures on nuclear energy. The descriptions of the processes involved / challenges faced are really exciting, and I have no doubt I'll listen to this part of the book again. 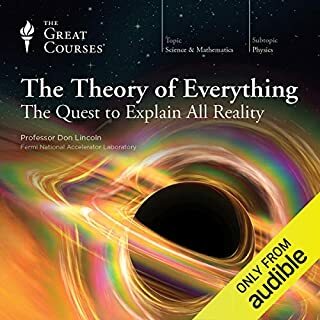 I also enjoyed various `thought experiments' he runs at several parts of the book, like `How much of the US land would be required obtain the entire countries energy needs from solar power?'. 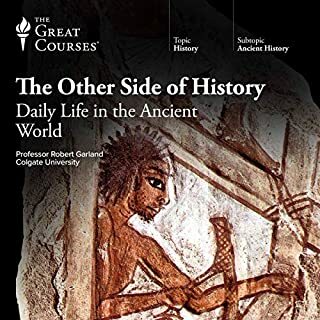 I definitely think that the book has given me a bigger appreciation and understanding for the topic, and would recommend it to anyone who would like to know more. I should say, I found that some parts of the series require some effort, as the material is quite dry (unavoidably, I think) in some parts. I'm not saying that the whole book was a slog or anything, I'm definitely happy I read it, but it requires quite a lot of attention, as for the most part it is quite heavy on information. 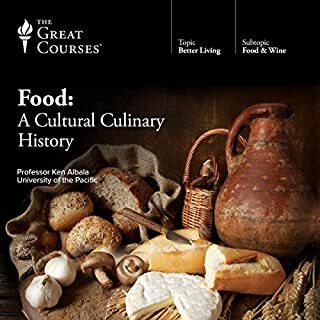 fascinating and brilliantly delivered lectures. great balance of general and detailed info on the uses and costs of energy. A great listen. very balanced and easy to follow. A great listen. Very balanced and easy to follow. doesn't go massively in depth but in a good way. each of the chapters could potentially be a complete book in itself. If you're after a well balanced overview of world energy. You've found it here. Very interesting and informative articles that covered a wide range of topics to do with energy production and the pros and cons. 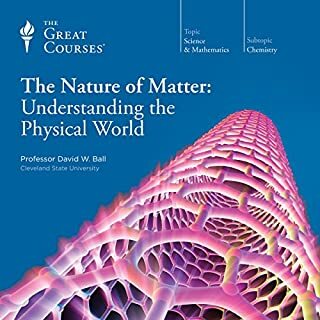 Great book for overall understanding of different types of energy. Easy to follow and has a lot of interesting insights, especially in renewables. Voice is nice to listen. Definitely worth it! Not a Waste of Energy! Nicely done introduction to the various pros and cons of our choices of future energy sources. It competently demonstrates human stupidity in the never ending search for the almighty dollar. 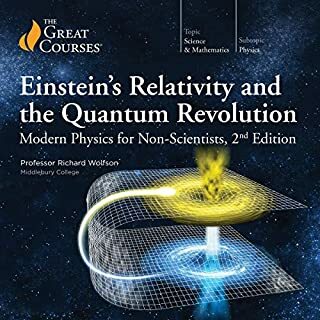 It doesn't assume too much and so it's ideal for those who wonder why as opposed to established nuclear scientists, although fascinating equations and ratios are used to demonstrate various facts. Great introduction to several topics related to energy. He covered major technologies, potential future tech, relation to politics, policies, human thinking.. yeah, this was broad and not too shallow. I loved some of the counterintuitive energy efficiency figures: fascinating stuff!